If you need more information or have any queries please feel free to contact Craig by filling out our enquiry form. My name is Ernie (64 years old) and I decided to have a custom fitting for my next set of irons. I had the opportunity to play a few rounds of golf with Craig and he told me that he was able to do custom fitting. In previous years I went to a golf shop and bought what I was told would work for me. I went to his house where his workshop is at the back of his premises. We discussed what I wanted to achieve and after the long talk I decided on graphite shafts with forged heads. From then on we did an intensive fitting session with various combinations of graphite shafts and heads. My final combinations were made up of SK Fiber Pure Energy shafts with ACER XS Forged heads and Karma grips. Would I recommend having a custom fitting … for sure YES!!!!! As a golf teacher, Craig Forth’s tuition has always been an accurate assessment of my game and by the end of the session I am hitting the ball much better and of even more importance, I come away with an understanding of the causes and effects of changes / habits of my golf swing. Having not only the lesson but also the improved capacity to work it myself makes his teaching of great assistance to my golf game. Only wish I had time to practice what I learn, but that’s another story. The set of clubs I play with today is vastly improved over the retail equipment I was using. For ages I struggled with painful hands and arms and it was getting worse. Fortunately I was introduced to Craig Forth, and due to his club fitting know-how in setting my clubs with the correct shaft, grip and lie angles etc, the strain on my body was considerably reduced, and as a bonus the clubs are now more suited to my swing. Without Craig’s expertise, it’s doubtful that I could be playing today. His passion and knowledge built over many years continue to amaze me. 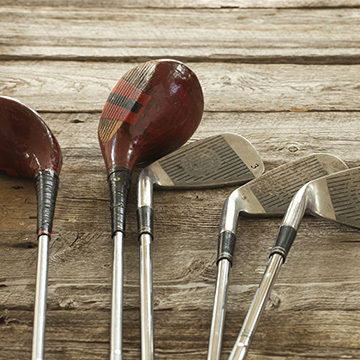 I have always felt that clubs off the rack were not quite the right fit for me, I would have to modify my swing and club delivery to get the desired results. After struggling with this for years I contacted Craig to get some help. Craig was fantastic; he completely understood what I was trying to explain. He began by watching me hitting balls in the net, while discussing what he thought could be improved in my game. The first thing he did was check the length, lie, loft and swing weight of my clubs. Then he used a series of impact and lie angle testing methods to find the strike patterns before making some adjustments and then re-testing until we were both happy with the results. It turned out that I needed a flatter lie angle than standard. The outcome was amazing! My irons strikes are so pure now with better feel through the turf and my consistency has improved dramatically. Thanks to Craig and his vast knowledge on golf and club fitting, my shots are sweeter and straighter and my scores are lower.